Cambodia is situated in southeast asia that borders Thailand and Vietnam. But its, arguably, more well known neighbours are not the reason main that Cambodia is known throughout the world. Cambodia is a country with a rich and vibrant culture, beautiful scenery and famous historical landmarks. However it is marred by a turbulent and brutal history that brought Cambodia to international attention for the wrong reasons not so long ago. But Cambodia is more than its history and we are here to look into the heart of what makes Cambodia famous, world-wide. Let’s start with its significant historical buildings and temple sites that make up its long history. To start with the most famous of these sites is the Angkor Archeological Site. Angkor Wat is a recurring theme in the majority of tourist to-do lists and for very good reason. Angkor Wat is to be found in the Siem Reap province and has stood for some 800+ years as a symbol of the religious heritage of Cambodia. Famous for being the largest of the temples across the country, it is of such significance that UNESCO declared it a world heritage site, due to its importance in the history of the country and the symbol that it became over the centuries. While Angkor Wat is the most important site across Cambodia, there are many hundreds of temples across the country, in various states of use or ruin. These temples still hold significance today and if time can be taken to visit them, then it should certainly be set aside. Cambodia’s vibrant and thriving culture, both past and present, is an experience few countries will be able to match. 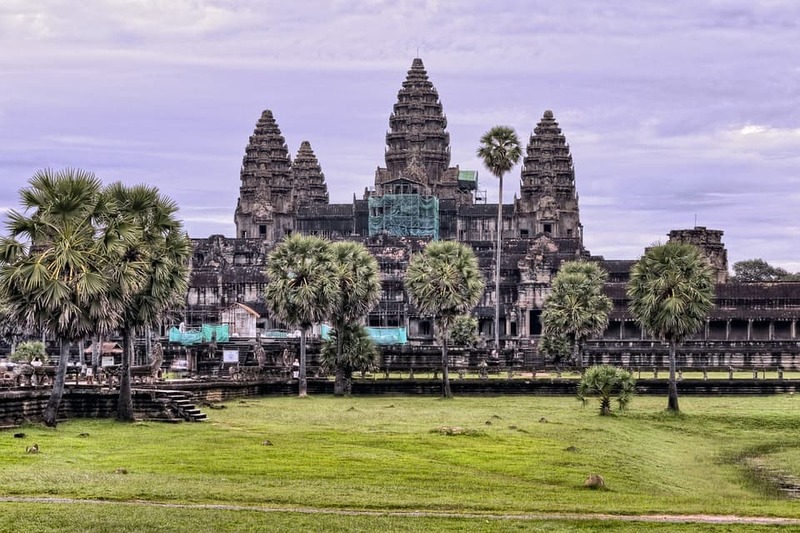 Cambodia has had many influences on its culture during its time, with some notable influencers being the Indian religions of Hinduism and Buddhism as well as more recent western influences. The residents of cambodia are incredibly welcoming to outsiders and this respect can be felt in the traditional marketplaces and bustling cities. The Cambodian traditions and ways of life have been preserved for centuries and much of the past can be found in and around the temples around the country, with The Angkor Wat being the most well-known of them all. Many of these traditions, such as the respectful greeting known as the Sampeah, are still in practice today and have been kept intact, even with more “modern” western ways of life making their mark. The Cambodian food is not to be missed either. With its bright colors and mixed dishes it is a feast for the senses. With rice as a staple for pretty much every dish it is mixed with various meats and fishes, as well as seasoned with differing spices that entice the pallet. Street food vendors can be found everywhere and serve fresh food to the appetites of Cambodians and visitors alike. The huge variety of food on offer means you cannot fail to find something to your liking. Cambodia is home to many beautiful animals and creatures that can be seen both in the wild or in organised conservation and wildlife parks. Arguably one of the most famous creatures you may see are the aquatic Irrawaddy Dolphins. There potentially exists less than 100 of these exceedingly rare creatures in the wild, so if you are able to book onto one of the specialized boat tours that take you to see them, I suggest you take the offer while you can. Wildlife is Cambodia is very diverse but some of it has come under threat due to the destruction of forests and the creatures natural habitats. To this end much conservation work has been undertaken by international and local bodies, to preserve as much wildlife as possible in the coming decades, with the hope of preventing further loss. On a more somber note, the arguably the most powerful reason Cambodia is famous is its violent and turbulent history. Cambodia has always had conflict within its borders, many examples of which went so far as to cause the repeated collapse and installment of many different governing bodies throughout its history. The most recent and possibly most famous is the Cambodian Civil that took place during the regime of the Khmer Rouge and the subsequent deaths of the millions of its own people. The turbulent history stretches back even further and even led to the collapse and sacking of the Angkor Wat temple. This constant struggle has even seen the name of the country change around 10 times in the last 60-70 years. It should be noted though that while this past conflict has certainly made Cambodia famous (or infamous) across the world, in its current state it is by and large a peaceful country. The violence of its past may certainly have marred its reputation somewhat, Cambodia is now more than ever a place that attracts hundreds of thousands of tourists from around the world every year. There is so much more to Cambodia that its history and those who go there to experience it, certainly aren’t left wanting.